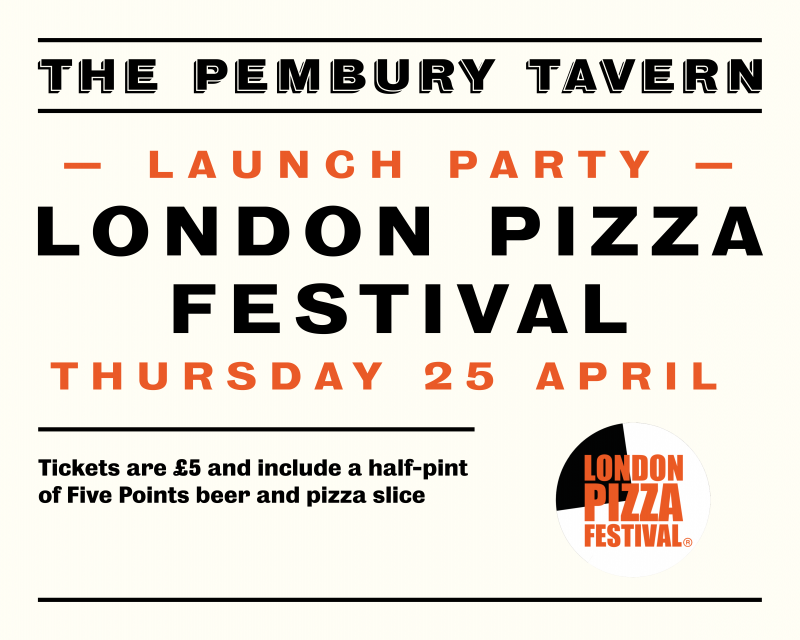 Join the crews behind The Five Points Brewing Company and Young & Foodish at the Pembury Tavernon Thursday 25th April as we announce the six pizza greats who will be competing at the 2019 London Pizza Festival. Now in its fifth year of running, the London Pizza Festival brings together six of the most coveted pizza producers in the capital to see who’s got what it takes to win the devotion of 850 pizza-loving Londoners. The Five Points is delighted to be co-sponsoring the festival for the third year running, which this year will take place on Sunday 2nd June at Borough Market. The Five Points Brewing Company is a believer and advocate of great beer and great pizza, and proudly showcases this here, at The Pembury Tavern. In September 2018, the team relaunched The Pembury Tavern as pub, taproom and home of The Five Points – and now mecca for the beer and pizza aficionados of London! Established by Rachel Jones of Capish?, The Pembury Tavern pizza kitchen has sold over 10,000 pizzas since the relaunch last year. So, join us for a special launch party to celebrate great beer, great pizza, and our partnership with the London Pizza Festival once more in 2019! Tickets to the launch party are £5 and will get you a half-pint of Five Points beer and a slice of pizza. Daniel Young, of Young and Foodish, will be announcing the six pizza partners of this year’s festival at 8pm – so don’t miss the exciting news. Plus, ticket holders will receive 20% off all Pembury Tavern pizzas on the night, so there’s even more room for celebration.